Shopping for man’s best friend doesn’t have to be ruff this Christmas! Pet Valu in Brandywine has some incredible options to leave your pet entertained and stylish this holiday season. One of our favorite toys for extended play-time is the Gladiator Gator! This toy comes with a protective layer of armor to keep even the roughest and toughest pup playing for hours. You can also pick up a new collar or leash to keep your furry friend looking fashionable and Christmas-ready. We like the wide variety of options from Bailey & Bella. Cats are fun pets to have around the house, but they sure have a lot of energy! Everyone needs to get that energy out somehow, so try some of these cat toys from Pet Valu in Brandywine to help your cat wear themselves out. This fun Black and White bird cat toy combines two favorite cat play-time accessories, feathers and catnip. Your cat will spend hours playing with this toy! Another sure-fire way to keep your cats’ interest is the Frolicat Automatic Laser Light toy. This one is sure to have your cat bouncing and pouncing in no time. Christmas is about more than just presents, it’s about spending time with family and eating good food too! Pet Valu features treats of the month for both dogs and cats every month. This month, you can treat your pup to some healthy snacks for 25% off with Fruitables Skinny Minis Dog Treats. They come in fun flavors like rotisserie chicken, pumpkin & blueberry and apple bacon! Your cats can also find delicious treats with the BOGO free Inaba Churu Cat Treats! They’ve got tuna and chicken flavors, but if you want to go the extra mile, they also have both of these flavors with scallops as well. 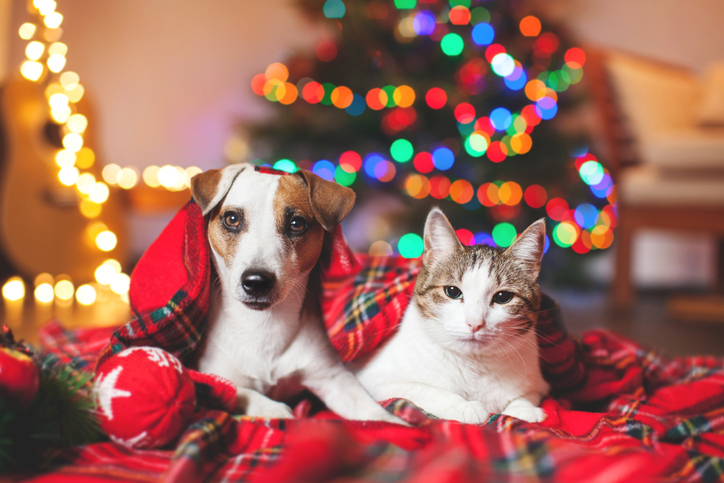 Our pets deserve to be spoiled every day, but Christmas is the best time of year to treat your furry friends. Take a trip to Pet Valu in Brandywine Crossing to find all of these treats, toys and more. 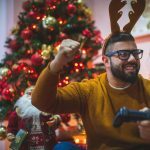 From now until Christmas Eve, they will even give you an extra $5 in Pet Bucks for every $50 you spend. 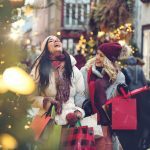 Want to learn more about Christmas shopping in Brandywine? Check out our blog today!